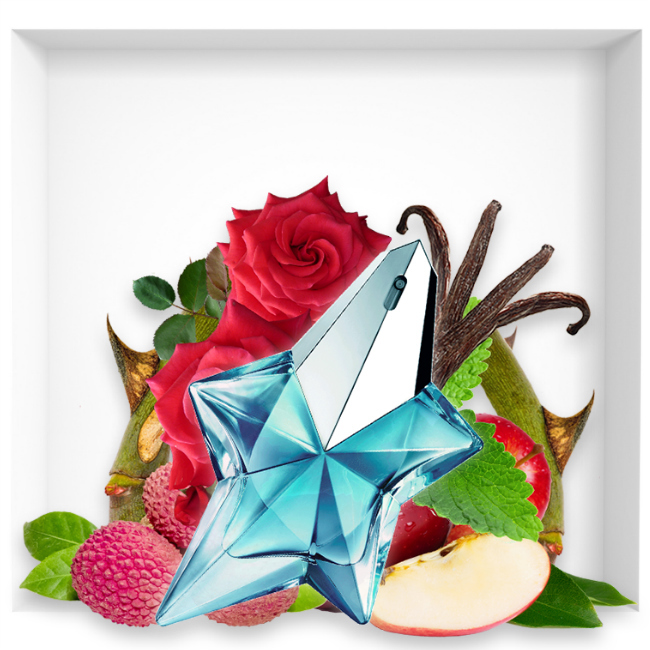 Since 1992, Thierry Mugler’s perfume Angel has been making a name for himself. 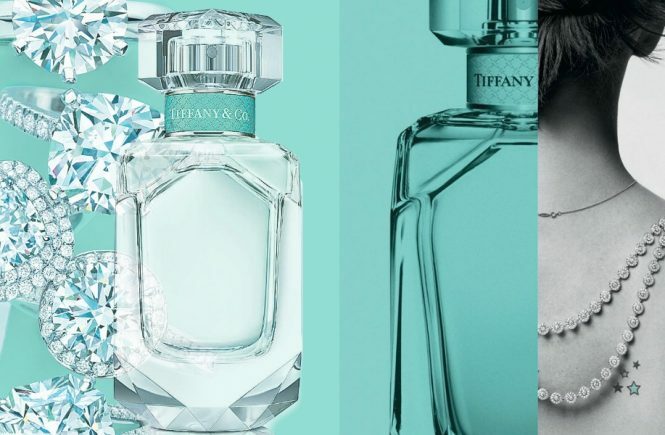 It takes us into a gourmet world and has revolutionized the genre of women’s perfumes. Halfway between the innocence of childhood and the sensuality of women, he continues to make many followers. Today, after being reinterpreted on many occasions, it still gives us a new flavor. 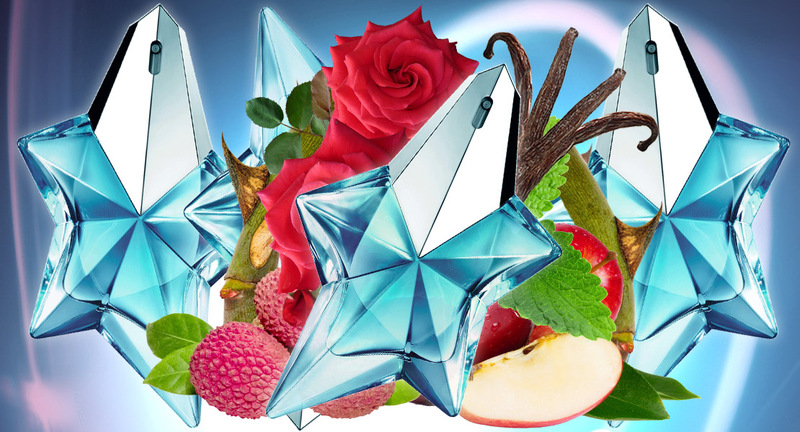 The latest composition of Thierry Mugler is called Angel Fruity Fair and is more sparkling and playful than ever. 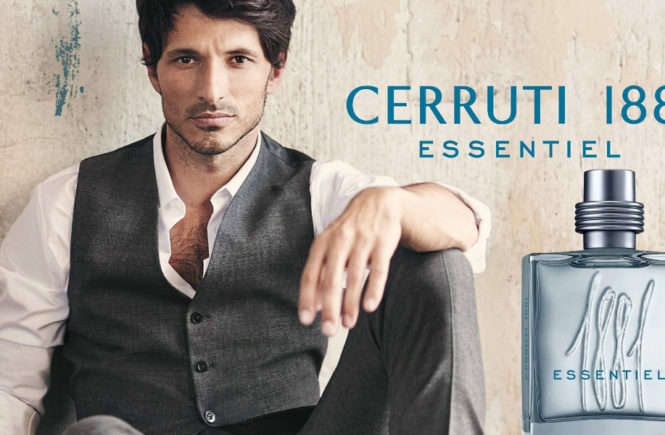 If you are hungry for the joy of life and you are the type to enjoy life to the fullest, this new perfume is for you! Angel Fruity Fair is a fragrance that, like its predecessor, appeals to your childhood memories. This new interpretation is both fun and greedy, loaded with happiness. It is inspired by carnivals and its delicious treats. Its composition smells of fruit and reveals aromas of lollipop. From then on, it becomes almost impossible to resist! 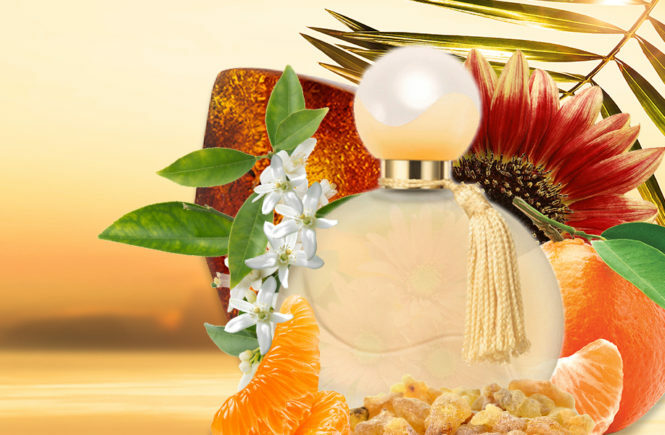 Angel Fruity Fair simply seeks to bring the illusion of delightful emotions. “Welcome to the wonderful world of fairs, rides and delights … Angel Fruity Fair represents a magical and childlike world, tender and powerful”. Through it, the idea is to propose a juice to the resonance common to everyone, at the same time tender, seductive and simply exquisite. This childish and fairy spirit is revealed first in the Angel Fruity Fair’s visual. Indeed, his bottle is a real technical feat that takes the form of a star. 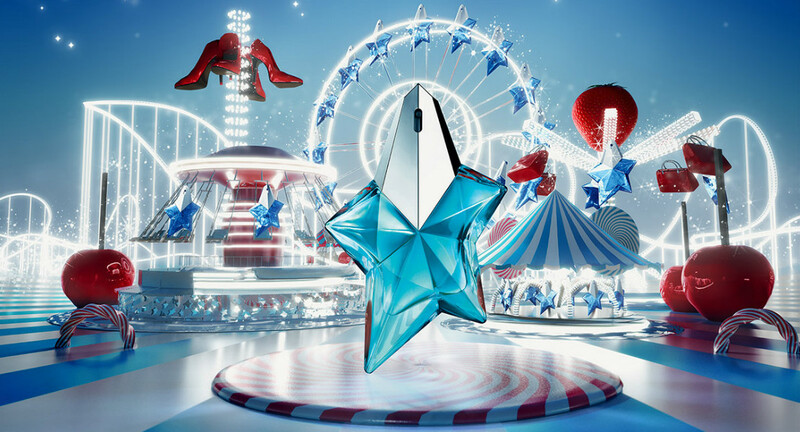 It must be said that this is the emblem of Thierry Mugler, this creator explaining for the occasion that he always had “feet on the ground but the head in the stars.” Here, the bluish tint of its juice is clearer and brighter than ever before. The whole is timeless, eternal and simply fascinating with elegance. Finally, the composition of Angel Fruity Fair is materialized by a trio of flavors. It all starts with a sparkling, tangy start made from lychees and currants. This fresh and sweet flavor is reminiscent of the bright candies or lollipops of our childhood. Then, his heart becomes more feminine. It mixes hawthorn and pomarose molecules, synthetic creations that, as their name suggests, release a scent halfway between the apple and the rose. Finally, and this is where all the delicacy of this perfume comes in, Angel Fruity Fair ends with whipped vanilla and patchouli. Here we have the signature of the entire Angel collection. The result is a combination of sensuality and sweetness that cannot be resisted!